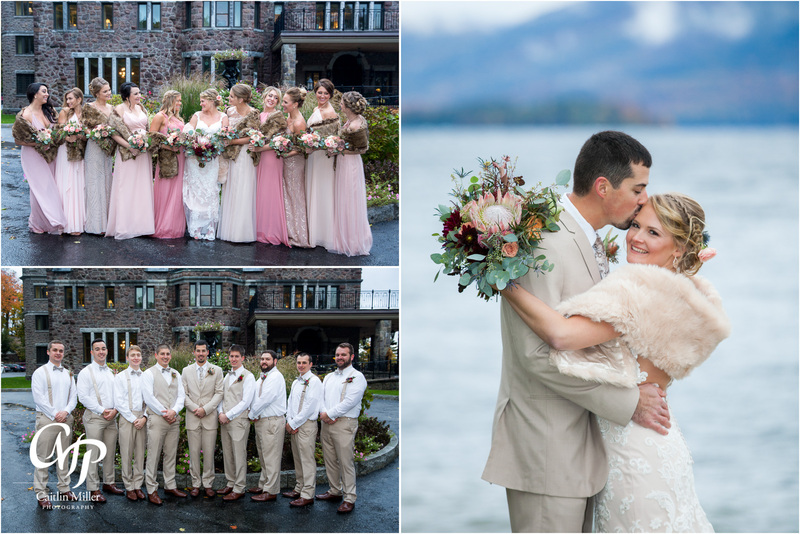 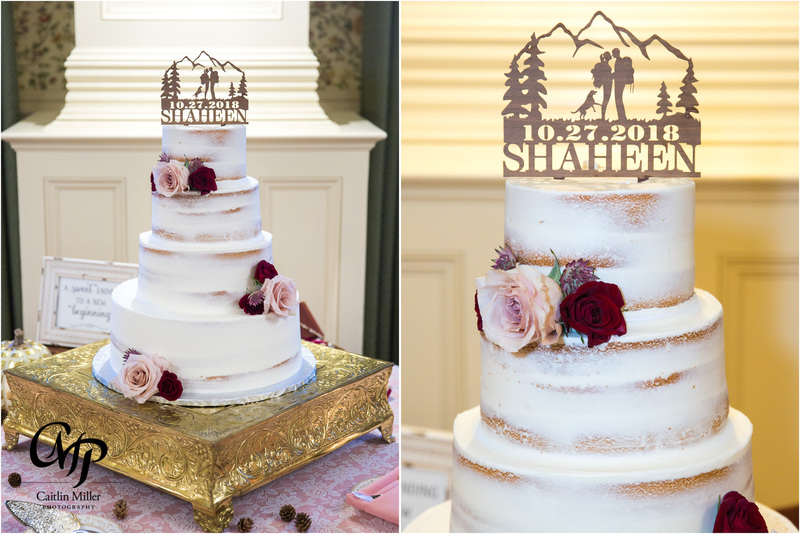 Katelyn and Nathan’s fall wedding began in the bridal suites of the Inn at Erlowest on the shores of Lake George. 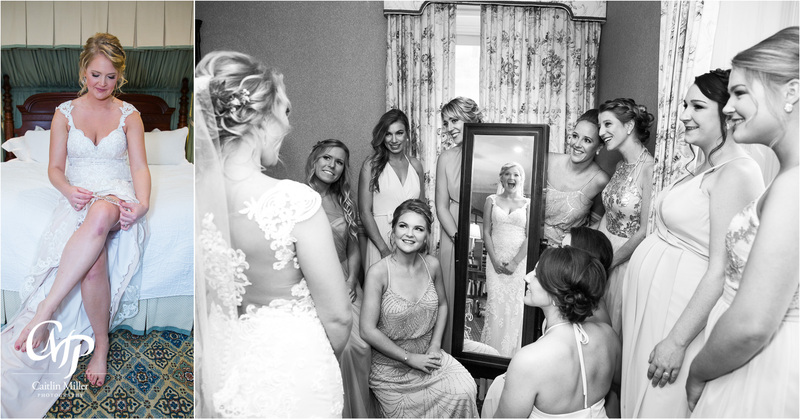 Katelyn and her bridesmaids got ready at the Erlowest castle while Nathan shared drinks and donned ties in the Suncastle Resort next door. 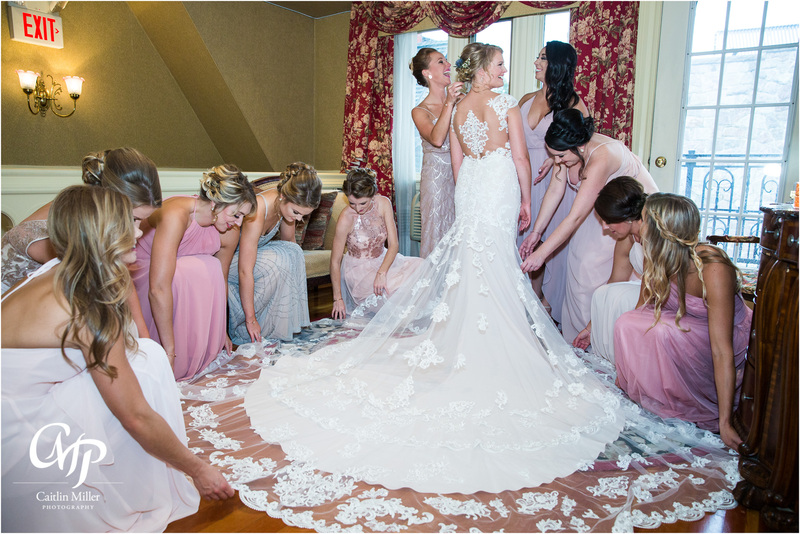 Katelyn slipped into her stunning figure hugging bridal gown before sharing a first look with her bridesmaids and brother. 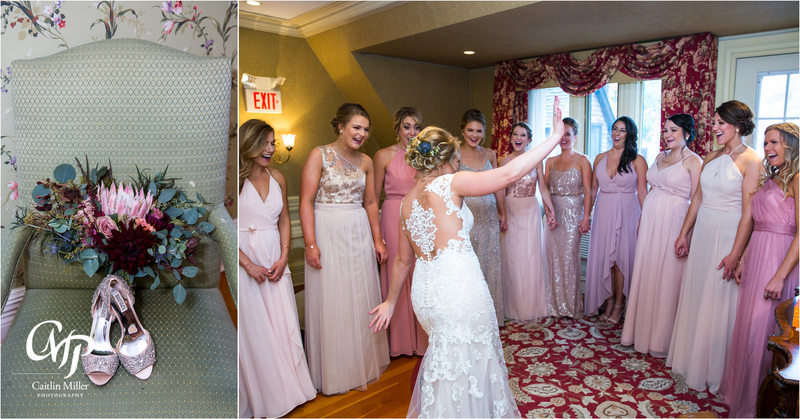 Katelyn walked down the aisle to a smiling groom, accompanied by her younger brother. 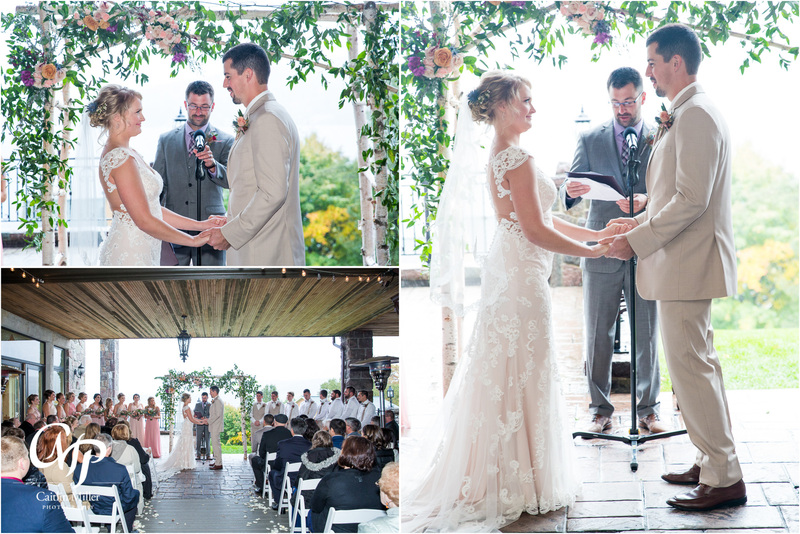 The couple exchanged laughs and tears as they said their vows and shared their first kiss as husband and wife. 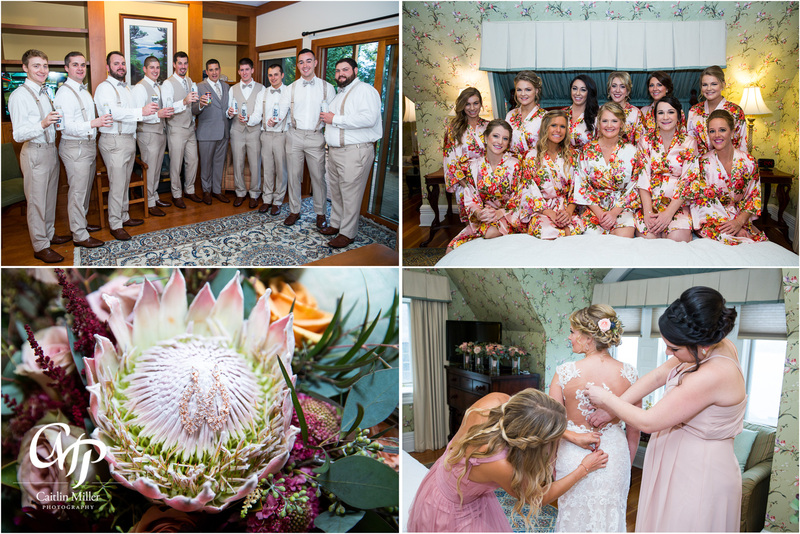 The newlyweds took fun photos with their families and bridal party before making their way down to the north point. 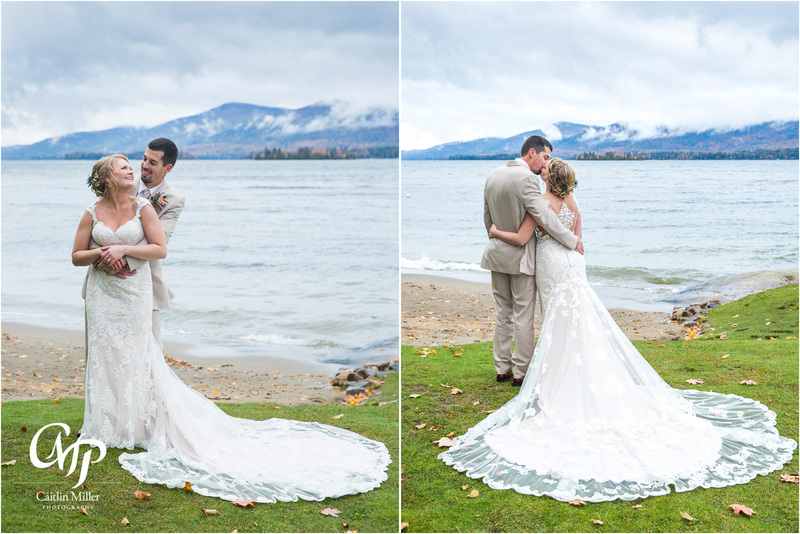 The morning rain brought beautiful fog to the lake and the views were romantic and matched the theme of the day! 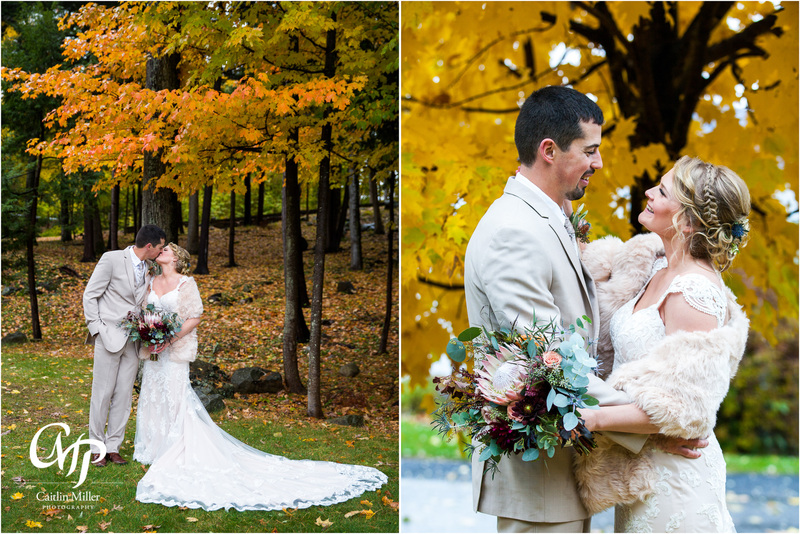 Fall foliage made for some colorful forrest photos before the bride and groom danced their way into the Inn at Erlowest’s ballroom to the cheers of their guests. 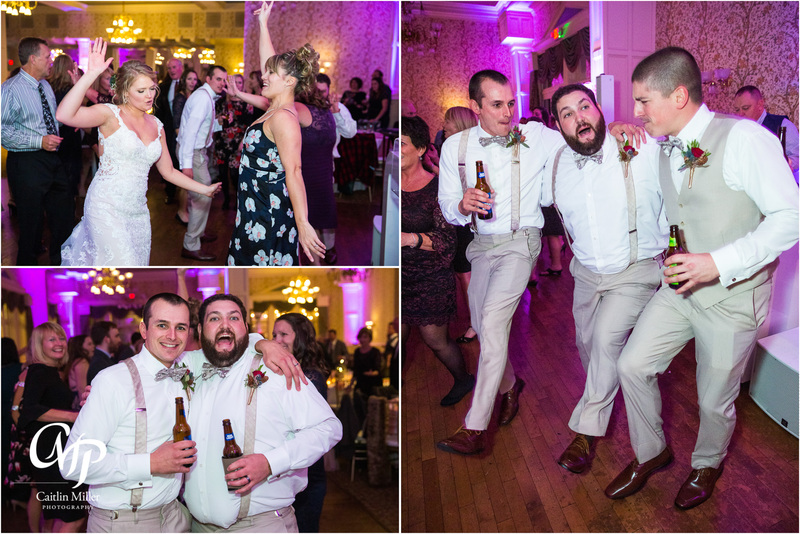 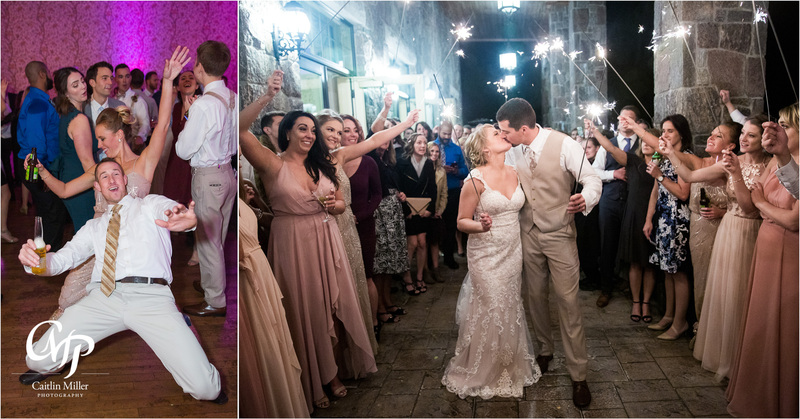 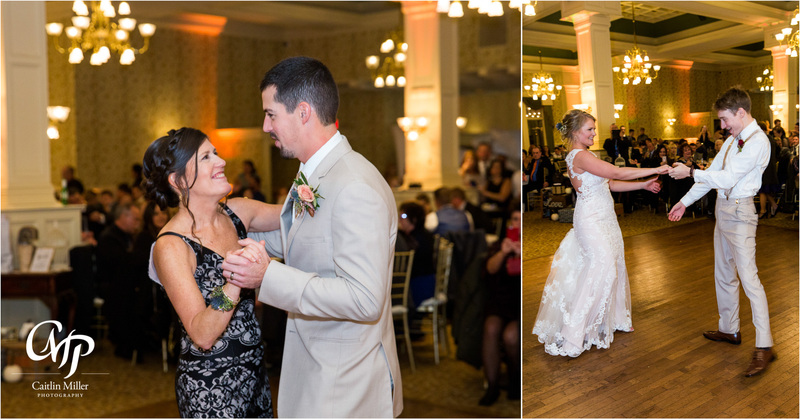 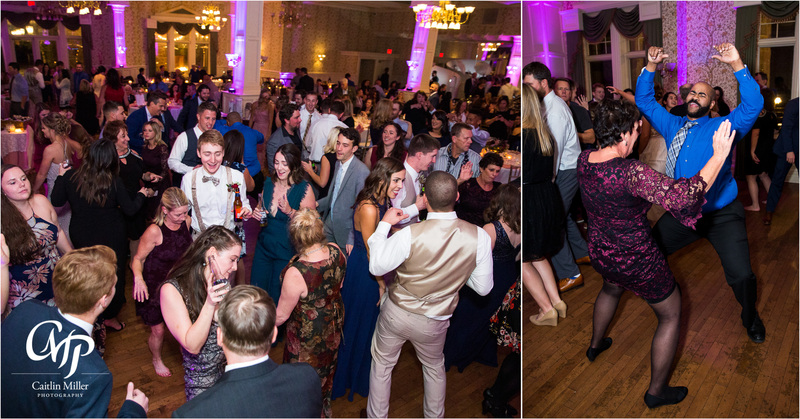 A thrilling night of dancing and great music followed and the couple finished out their reception with a dramatic sparkler sendoff. 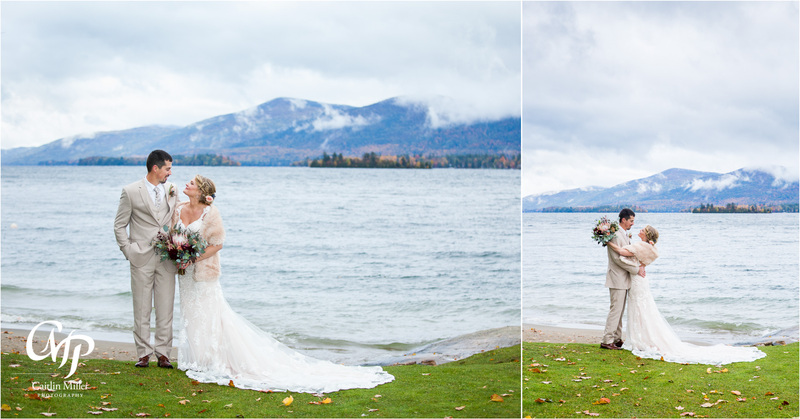 Congratulations to this phenomenal couple!